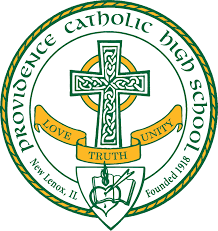 Providence Catholic is a co-educational, college preparatory diocesan high school administered by the Augustinians and located on 75 acres in New Lenox. A dedicated and caring faculty and staff integrate the core Augustinian values of truth, unity and love into all dimensions of student life. A demanding curriculum, inclusive service programs, competitive athletics and comprehensive extracurricular offerings challenge students in a safe and nurturing environment. Our most recent graduates earned scholarships valued at nearly $40 million dollars. These seniors performed in excess of 100,000 hours of community service during their high school careers. In addition, Providence Catholic has 30 state championship titles; the most among private high schools in the state of Illinois. For more information about PCHS, please visit www.providencecatholic.org.